Lafayette, IN - Madison, WI - Mankato, MN - Princeton, IL - Sioux City, IA - Sioux Falls, SD - Urbana, IA. 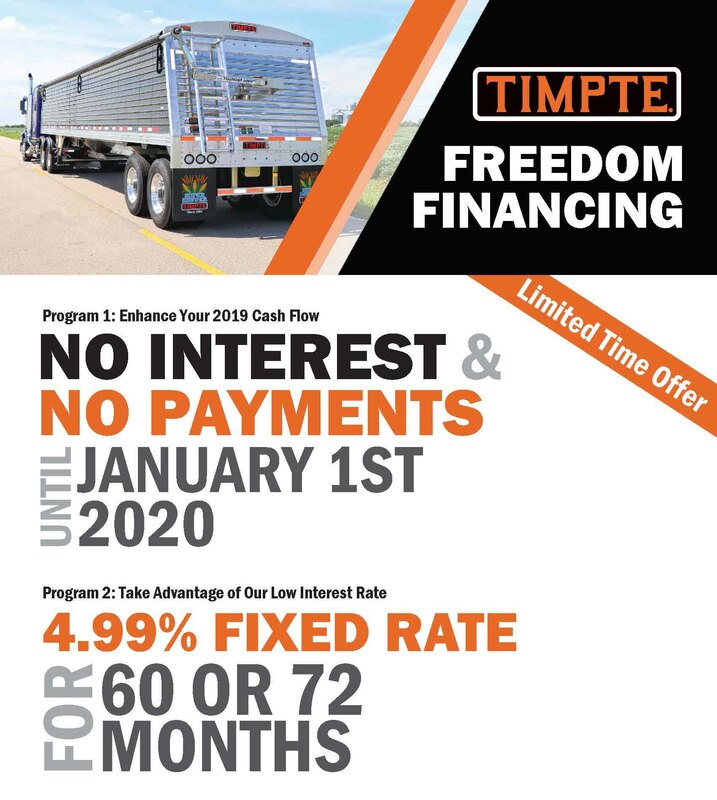 Program 1: 25% Down Payment Upon Delivery of Trailer(s) (Net of Deposits - If Applicable) - $249.00 Doc Fee Due at Signing. Program 2: 4.99% Fixed Rate Term for 60 or 72 months. Down Payment to be determined upon application. Financing Administered by Northland Capital. Farm Storage Facility Loans (FSFL) provide low-interest financing for producers to build or upgrade farm storage and handling facilities to store eligible commodities they produce. The program is administered by the U.S. Department of Agriculture (USDA) Farm Service Agency (FSA). New and used dry bulk commodity trailers are eligible for the program.